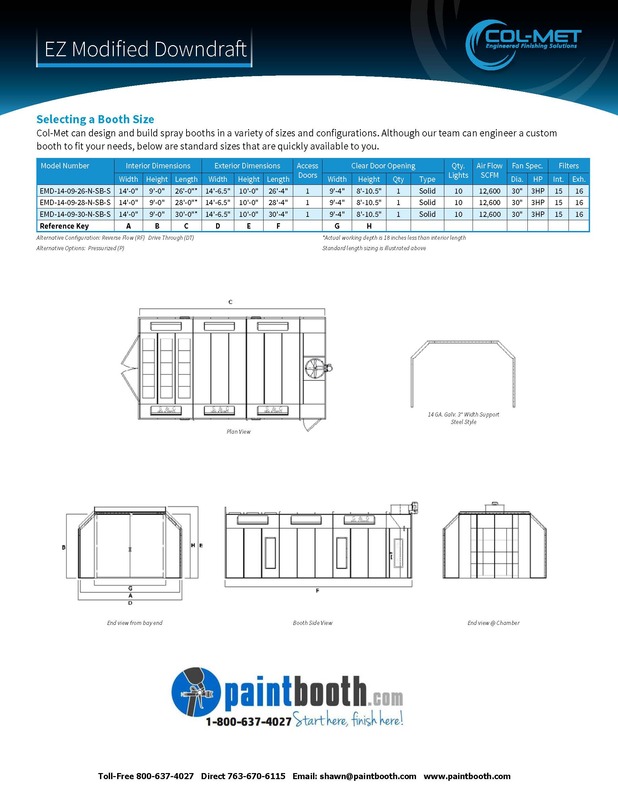 Our booths aid in providing a clean and healthy work place. 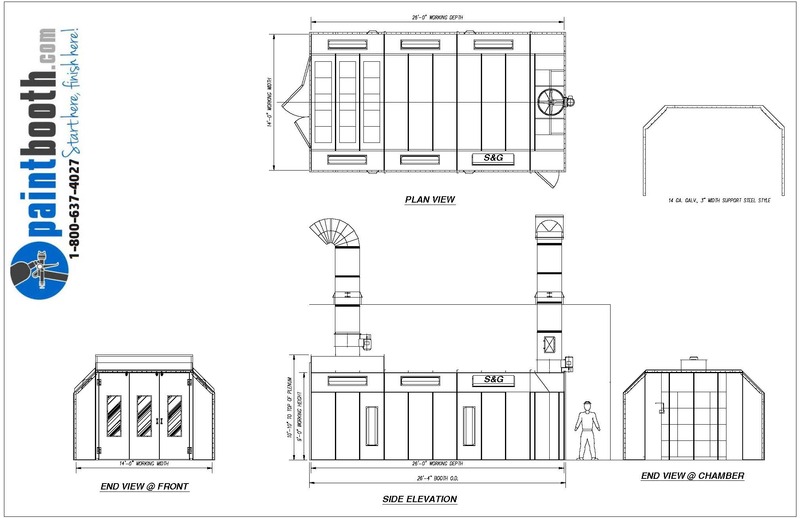 Modified downdraft paint booths are not only easy to maintain, they can also be pressurized by ambient air or by a heated air make-up unit with a cure cycle. 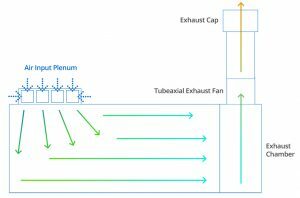 This style booth intakes fresh air from the cleaner upper levels of the shop through a secondary set of filters located in the plenum before entering the booth ceiling filters near the product doors. 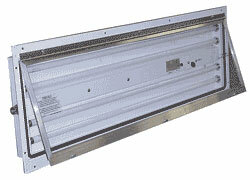 The filtered air is drawn down through the booth to an exhaust filter system at the opposite end of the booth. 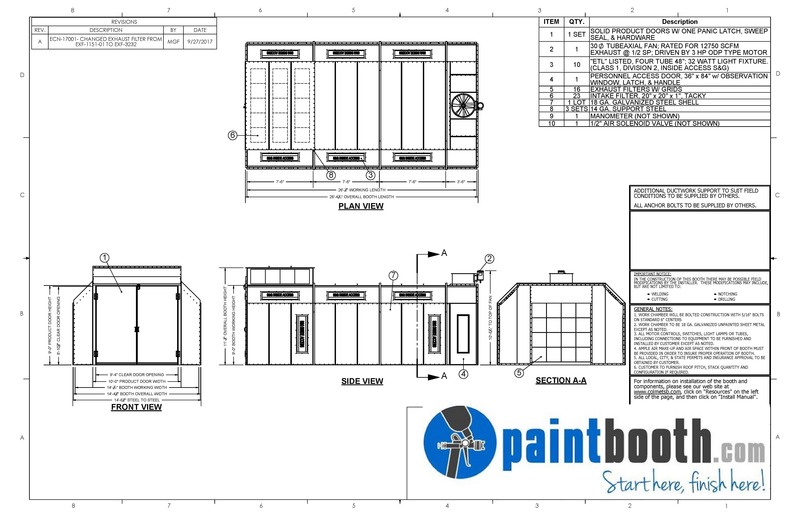 Our modified downdraft paint booth line is offered in a several standard sizes and configurations, which include pressurized, non-pressurized, solid back, reverse flow and drive thru designs. 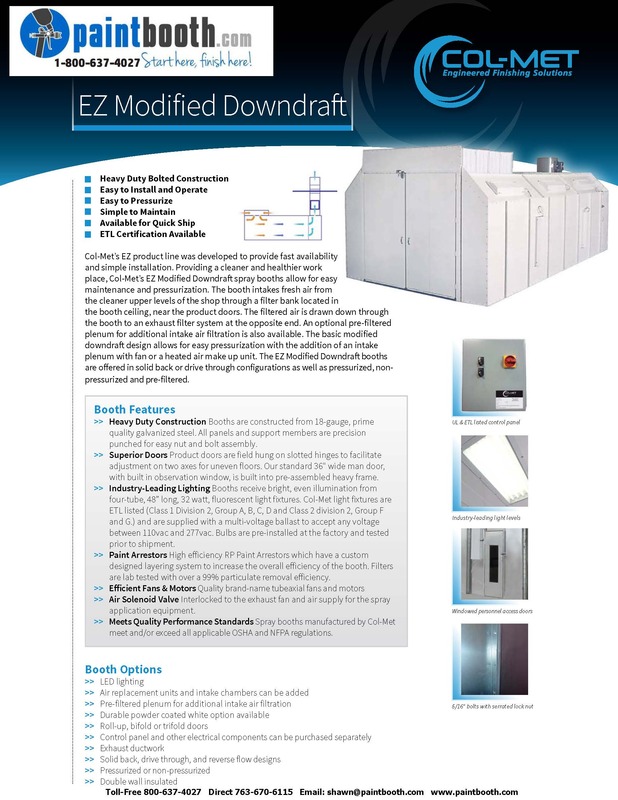 Our factory trained installation crew can get your new Modified Downdraft Paint Booth installed correctly and quickly.